What is Dublin’s Castle Dracula Experience? It’s a haunted house, history lesson, and magic show all rolled into one. Enter the mind of Irish Writer Bram Stoker and watch the world he created in his classic novel come to life. 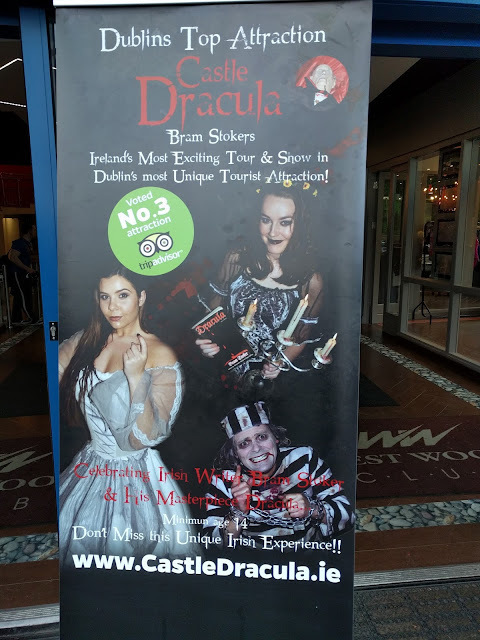 We were really surprised when we first moved here that Dublin doesn't do more to highlight the connection between Ireland and Dracula; particularly around Halloween. With the launch of the Castle Dracula Experience, Bram Stoker and his ghoulish creation have been thrust squarely into the spotlight (but not the sunlight ;-)). 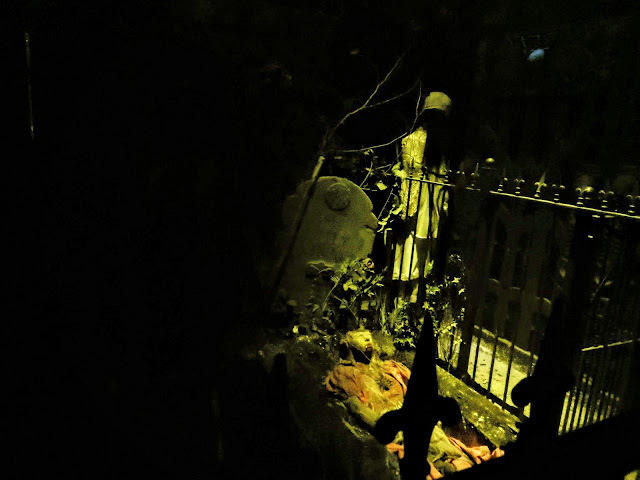 In this post, I'll share our experiences exploring a macabre side of Dublin in our evening with the undead. SIDEWALK SAFARI SPOTLIGHT: There is so much to do in Dublin. Check out our huge list of one day Dublin City itineraries to keep you busy. Bram Stoker is an extraordinary writer. When we moved to Ireland six years ago, I made it a point to pick up some of the classic books written by Irish authors. I find that reading local authors like Bram Stoker gives such a fantastic sense of place and time. When people think of Dracula, they usually think Transylvania, not Ireland. However, Dracula emerged from the mind of Stoker, a Dubliner who started life as a sickly child. The Dracula legend was built from the tales of sickness and death that Bram Stoker's mother often shared with him during his childhood illnesses. Dracula is truly one of the most outstanding (and spine-tingling) books I've ever read and stands the test of time despite being written more than 100 years ago. Bram Stoker's Castle Dracula Experience is located in the Westwood Club in Clontarf, a Dublin suburb. Upon arrival, we walked through the health club and up a couple flights of stairs. There was (almost) no sign of vampires. 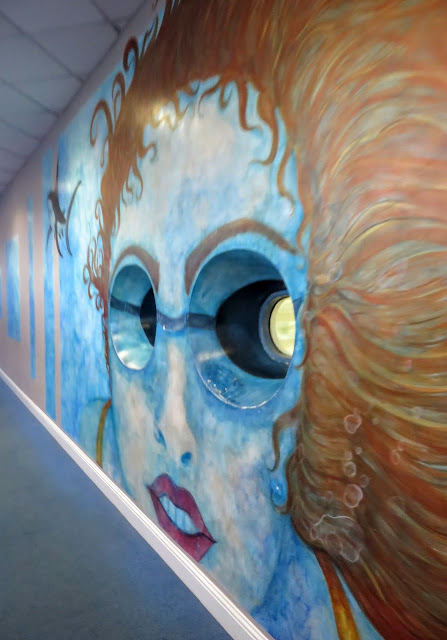 However, the larger than life painting overlooking the swimming pool definitely set an eerie mood for the evening even before it started. Enter Castle Dracula if you dare! Are You Afraid of the Dizzying Dark in Dublin? We soon entered Castle Dracula's portal to another world. Peeling back a curtain, we were faced with a dark and dizzying spinning tunnel. 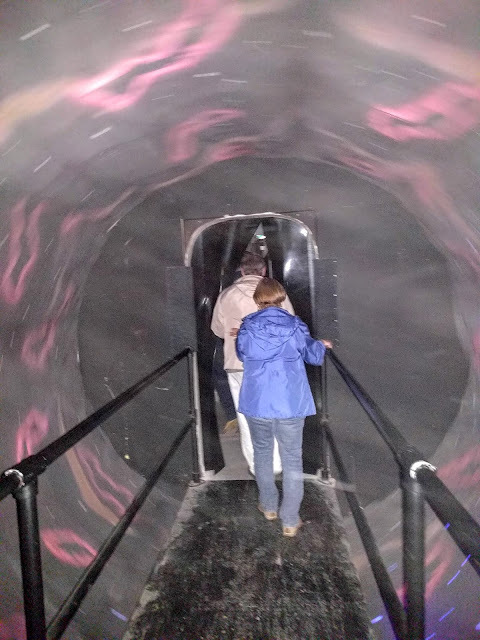 The room itself is not actually spinning so if you feel disoriented (and I did the moment I walked in), just close your eyes, grab the hand rails that are conveniently placed on both sides and inch your way forward. The spinning tunnel definitely helped us to leave the real world of the Westwood Club behind to emerge in macabre Castle Dracula. 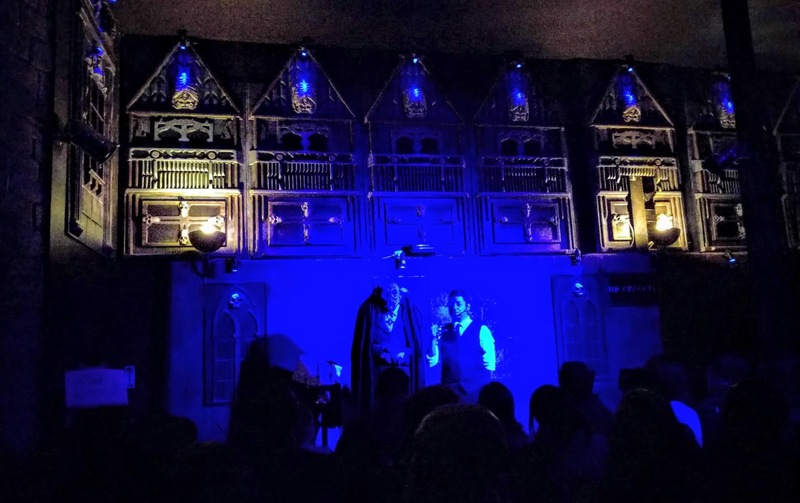 The Castle Dracula Experience is part haunted house, part museum, and part magic show. The performance started in a long dark tunnel lined with artifacts including a lock of Bram Stoker's hair. 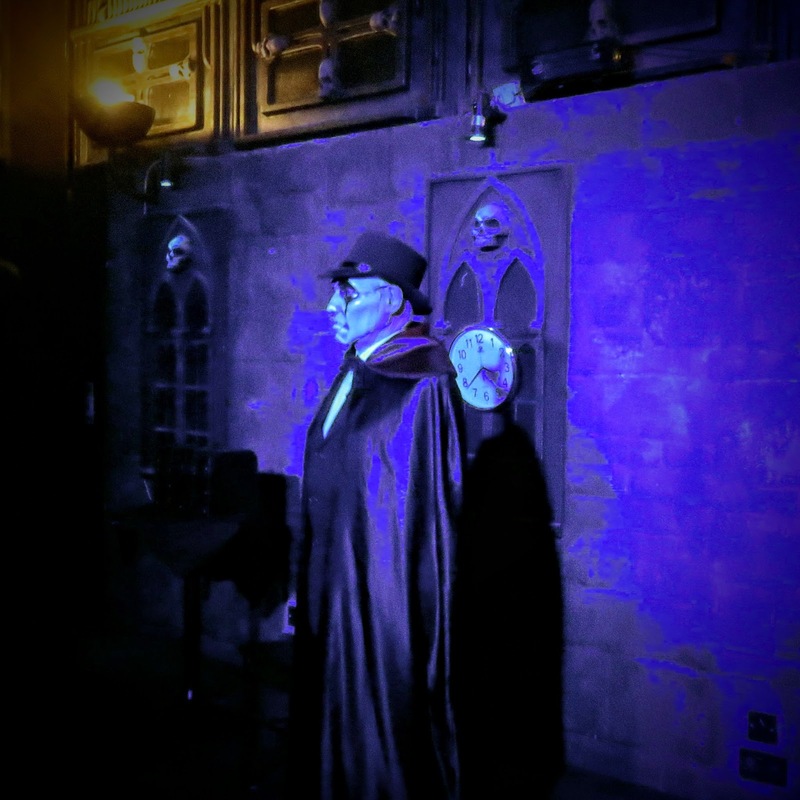 We only had a few minutes to look around nervously with our backs against the wall before the Castle Dracula Experience began and we were introduced to Renfield, an inmate from the mental institution. He clanked along in his chains and striped outfit metering out the Dracula story a bit at a time. Don't worry about not having time to explore Castle Dracula's museum at this stage, we got a chance to have another look around during the interval. Emerging from Castle Dracula's macabre museum, we wound our way through various rooms in the castle and met a number of characters along the way. The Castle Dracula Exprience was just the right level of scary. 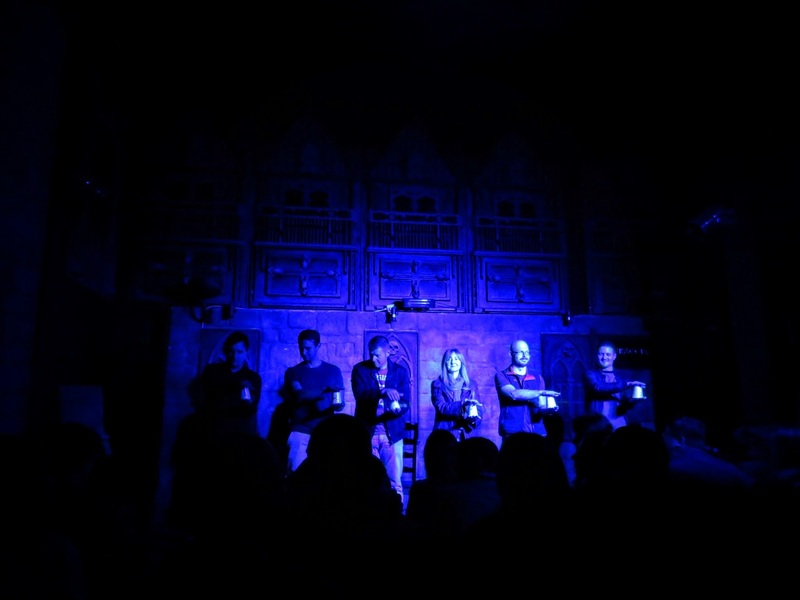 Hands emerging from the walls and characters popping out suddenly definitely elicited some screams from the audience but the characters themselves didn't take themselves too seriously and injected just the right amount of humor into the experience. 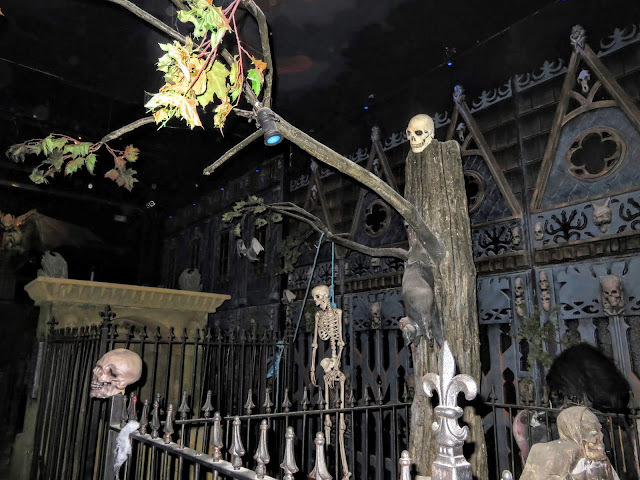 The main stumbling block of the Castle Dracula Experience is not that it's too scary but rather that it can be challenging for people with limited mobility. Bram Stoker's Castle Dracula has stairs a plenty, about 3 flights up and 3 flights down again on a narrow winding staircase. After touring Dublin's Castle Dracula, we emerged into the graveyard. 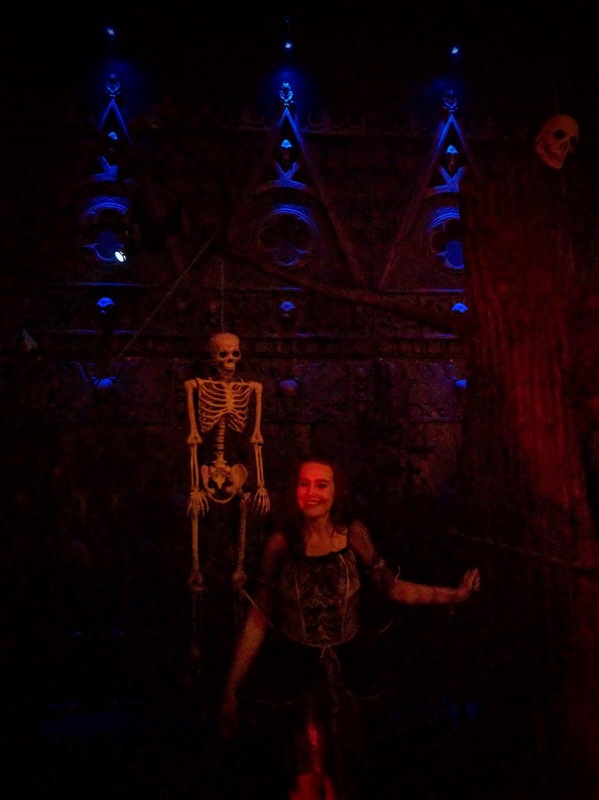 We had a chance during the interval to explore the spooky sights on our own. We helped ourselves to some refreshments at Castle Dracula's cash bar during the interval: a glass of blood red wine (or was it blood?!). At least one of the actors was also a musician and serenaded us with ghoulish tunes while we sipped our drinks during the Castle Dracula Experience. This was one talented undead musician! The second half of the Castle Dracula Experience was particularly educational and focused on tips and techniques to effectively spot vampires. There was definitely a vampire wandering around during the interval and he was happy to pose for photos. However, some vampires are apparently more camera shy and wily. The ability to lie flawlessly, to read minds, to manipulate the minds of others, to evade death; all of these traits are critical for the vampire hunter and our Castle Dracula host showed off his mad clairvoyant skills with one impressive trick after the next. After the Castle Dracula Experience, we emerged into the Dublin night, congratulating ourselves for the outstanding job we did evading death and the undead conjured by the mind of Dublin's own Bram Stoker. 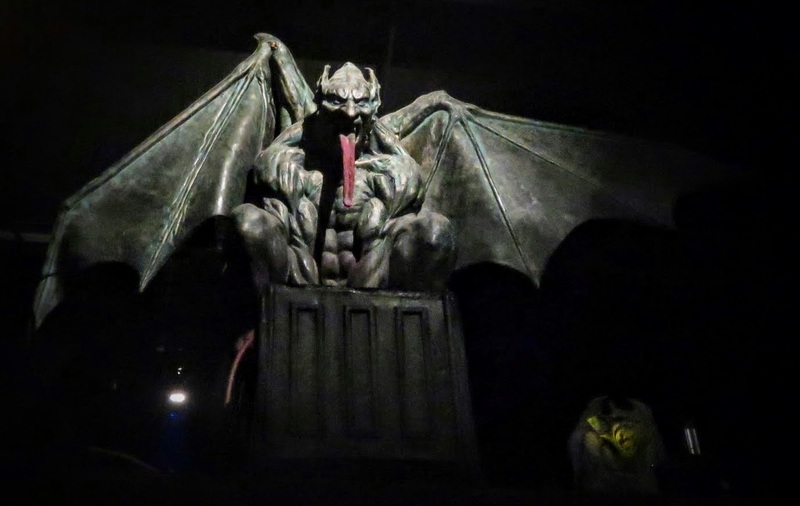 Is Dublin's Castle Dracula Experience Worth Visiting? 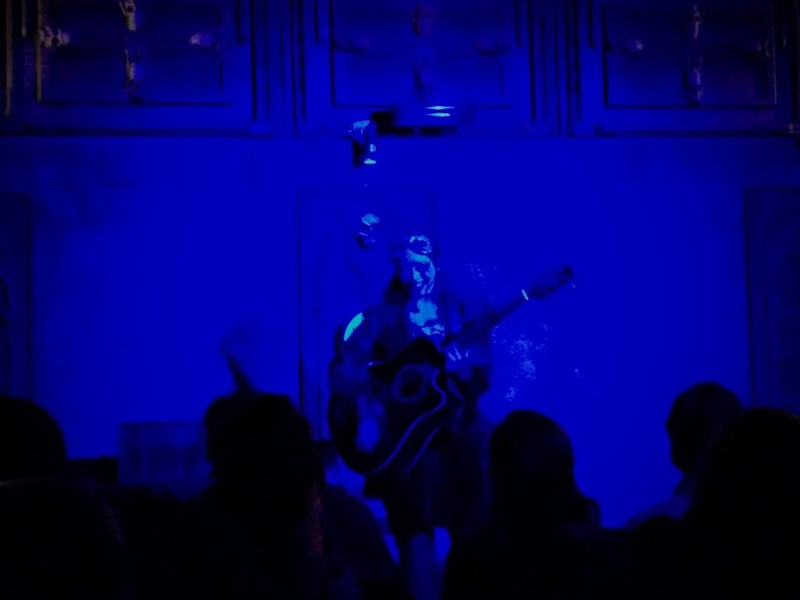 Looking for something to do in Dublin for Halloween (or really any time of year)? 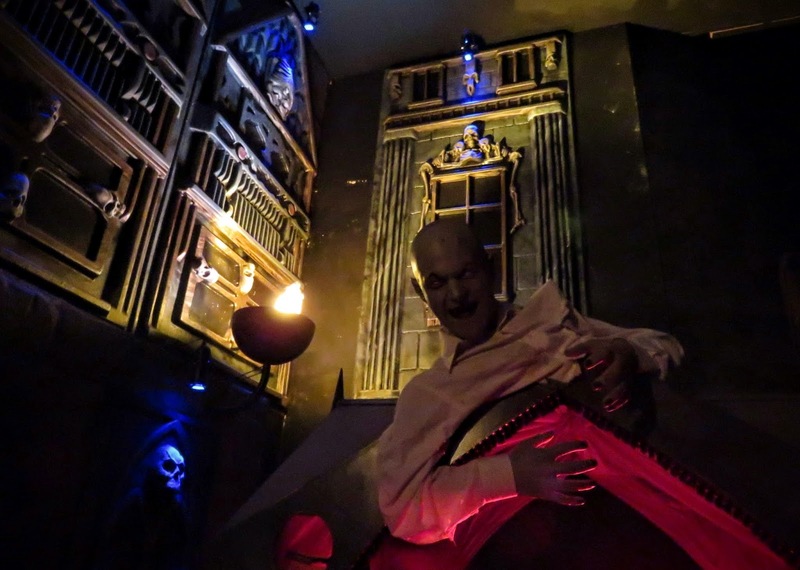 The Castle Dracula Experience is a macabre and entertaining evening that doesn't take itself too seriously. 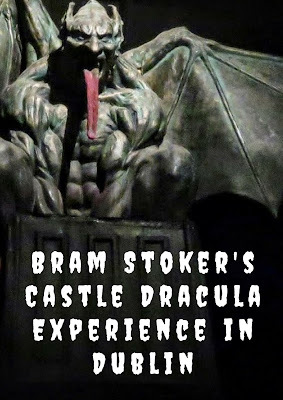 In the end, we definitely learned a lot about Dublin's Bram Stoker and his iconic vampire creation. 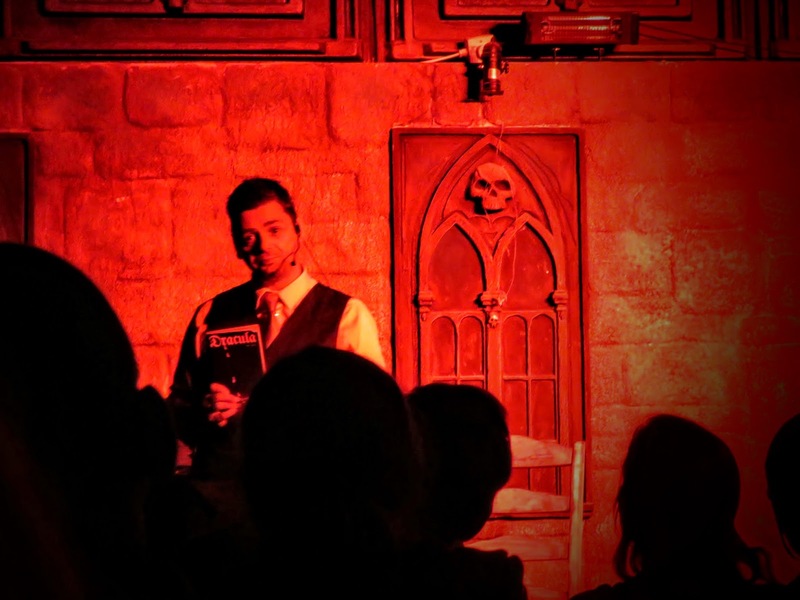 The Castle Dracula Experience is open on Saturday evenings from 7 - 9 pm at the Westwood Club in Clontarf (Bram Stoker's home town). How much does Dublin's Castle Dracula cost? It was 25 EUR per person at the time of writing. 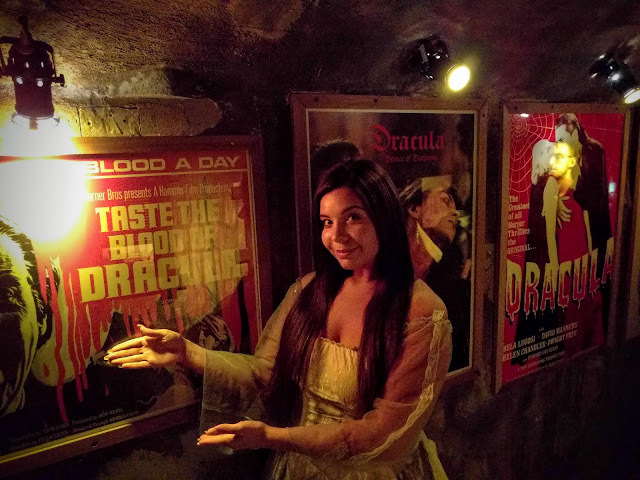 Disclaimer: I was a guest of the Castle Dracula Experience. They provided three free tickets to the attraction for me and my family but opinions expressed in this post are my own. 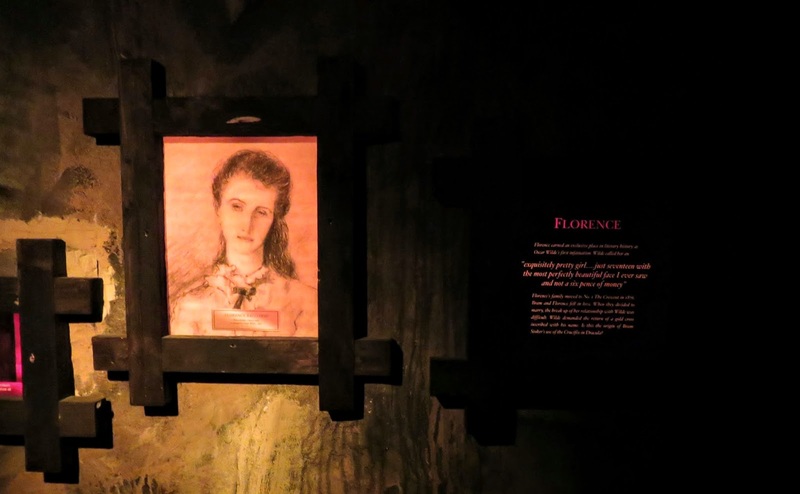 Learn more about Bram Stoker's Castle Dracula Experience in Dublin, Ireland through a photo tour and review. Written by travel blogger, Jennifer (aka Dr. J) from Sidewalk Safari.